Hip Baby Blog: Original Sprout at Hip Baby! 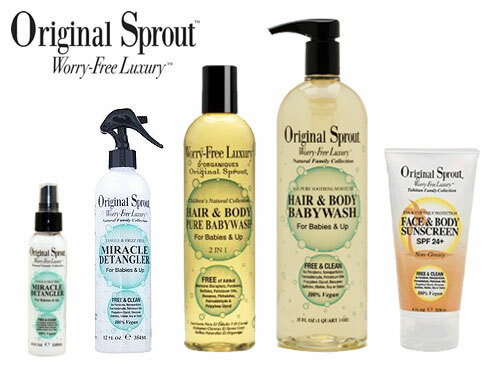 Original Sprout at Hip Baby! We get lots of samples here at the store but once in a while a product comes in and kinda knocks our socks off. We heard and read about this product but until we tried it... well, you get the idea. I have a 4 year old daughter that often wakes up with a spider web of hair that is nearly impossible to detangle so I gave the Miracle Detangler a try and wow (I've even caught my wife using it). Now we carry all their products including the Face & Body Sunscreen SPF 24+ which was named Best Sunscreen for the Entire Family at Babble.com. Come check out Original Sprout at Hip Baby!